Today I wrote a guest post for Xconomy entitled Health Records are Going to the Cloud, Going Mobile, and the Feds Are Still Paying. The post represents what I see as the primary trends in healthcare IT and correspondingly, where the majority of interesting innovations will come from. This is not to say there isnt going to be a lot of activity with ACOs, but there is likely going to be little in the way of innovation or real economic opportunity in areas such as this. I base that statement on one thing: history. ACOs are just the newest machination of organizations that have been tossed around for almost a decade. While there are differences from RHIOS etc, they are not enough to get me too excited. Mobile and cloud computing on the other hand, are wide open frontiers and innovation we have seen in the consumer sector for a decade is about to influence healthcare in meaningful ways. 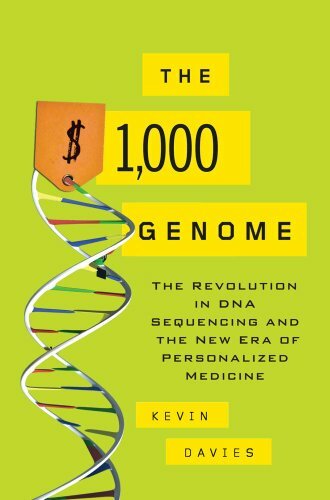 A week ago I attended the Xconomy event: “Computing in the Age of the $1,00 Genome.” EMC subsidiary Isilon Systems was even generous enough to give all attendees of the conference a copy of the book The $1,000 Genome: The Revolution in DNA Sequencing and the New Era of Personalized Medicine. Cliff Reid of Complete Genomics not only expressed the certainty of the $1,000 genome, but predicted the cost would go much lower and the consumer demand would reach the millions in a few short years. 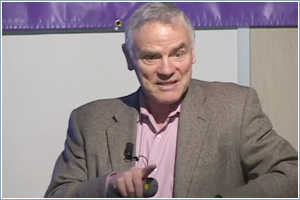 The anchor panelist of the event was world-renowned geneticist Leroy Hood of the Institute for Systems Biology. His view was that the low cost genome is one thing, but the analytics and intelligence needed to make use of that genome are altogether another thing. Bob Nelson of Arch Ventures commented correctly that one of the key the challenges is delivering the value from the genetic innovation out to physicians. Today the market does not possess an efficient mechanism for distributing education, analytics and decision support to the provider market. To say it’s fragmented is an understatement. Couple that challenge with the massive FDA bureaucracy required to get new treatments to market and you have a recipe for failure. This is precisely why venture funds are increasingly chasing life sciences deals in Europe and Asia and not the US.